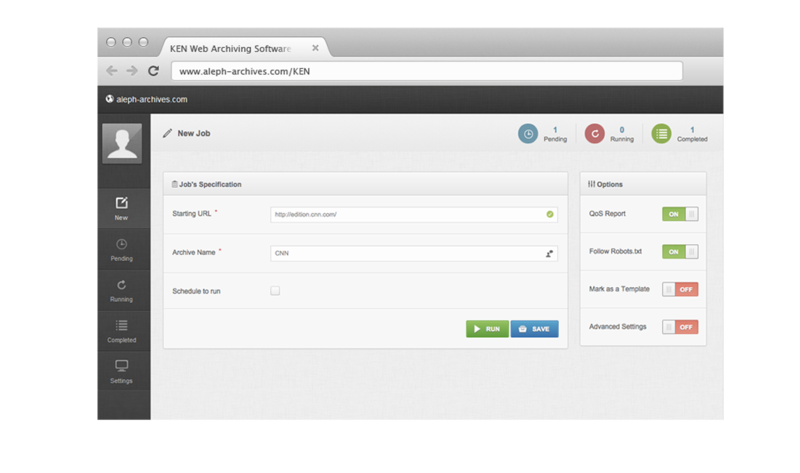 KEN™ Web Archiving Platform is a complete suite that will enable users to collect any web content, preserve it in native format and replay it as if it was live. KEN™ ensures compliance and non-repudiation with E-records keeping rules and enables E-discovery professionals (SEC/FINRA regulations) and Public Records to capture web content on the go. KEN™ ensures compliance with data protection in the EU (GDPR), and Finance industry (MiFID 2) in order to give professionals and citizens control over their Online personal data (Websites, Social Media). 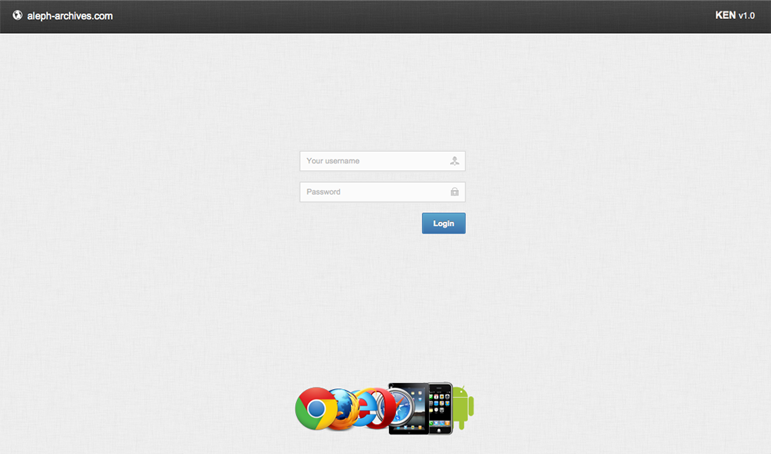 Native support of the WARC Iso file Format, Capture of multiple websites with the highest quality. Creating your own institutional web archives collections has never been so easy. Thanks to its intuitive and easy to use web interface KEN™ is the first multi-platform fully automated web crawler to enable web archiving on a personal level. KEN™ is a complete web crawler that combines the best of both focused and broad crawling techniques therefore improving the quality while still remaining highly scalable. The standard for web archive container files is WARC — the Web Archiving file format — ISO standard ISO/DIS 28500. It is already being adopted as the foundation for web archive storage and preservation. KEN™ generates fully compliant WARC Files. Thanks to its new URL filtering techniques, KEN™ enables the users to customize the scoping of the capture for maximum accuracy. 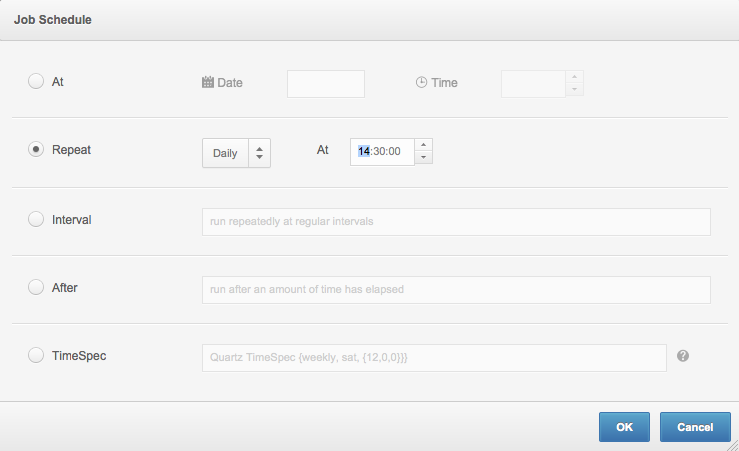 Schedule your crawls to run automatically (ex. daily, weekly, etc.) with support of different TimeZones. Using the «Cobalt» playback engine, KEN™ is able to display the archived content at high speed and ensure via «KEN Viewer» that there will be no mixup results with the live version. 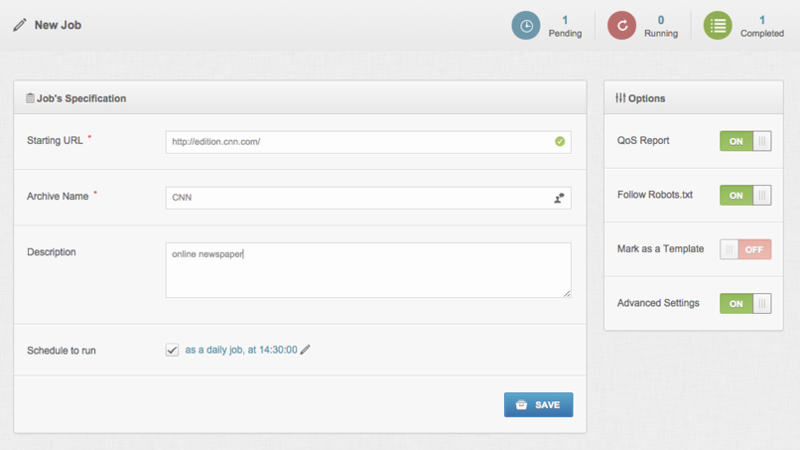 KEN™ uses a clean and modern looking interface, that will allow the users to create, manage and browse the archives. One-click on-demand export feature produces a high quality PDF screenshot of the page you are browsing. © 2010-2019 Aleph Archives, Ltd. All rights reserved. Aleph Archives logo and name are registered trademarks of Aleph Archives, Ltd.